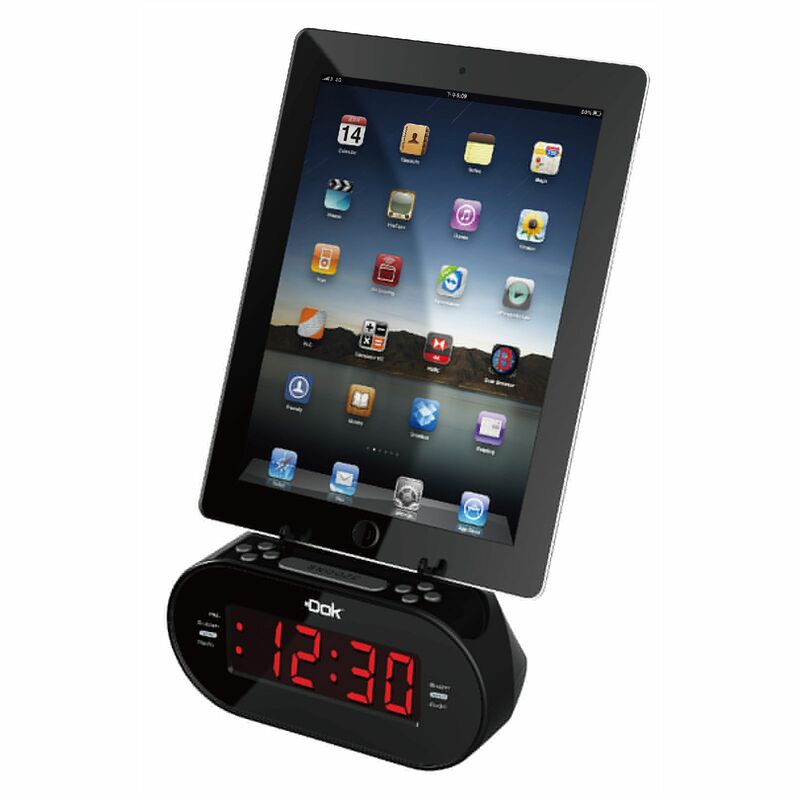 Charge your phone, pad or tablet and have an alarm clock too. All in one small footprint. Especially convenient when you have little space on your nightstand. This alarm clock is an economical solution for waking up and charging your personal devices. It includes two alarm options and battery backup so you won't lose your settings during a power failure. Includes a snooze button as well. One if its best features is it will accept input from your phone, pad, tablet or most any personal device with a headphone jack. Connect to this unit and enjoy your music on a larger, louder speaker. Net Weight 4.8 kgs 10.61 Lbs.